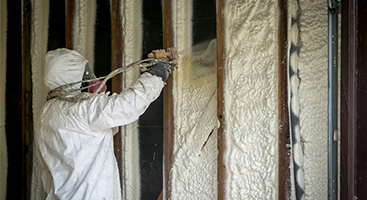 Spray Foam Insulation Indianapolis : When Should I Replace My Home Insulation? Healthy, quiet, and long-lasting insulation solutions! 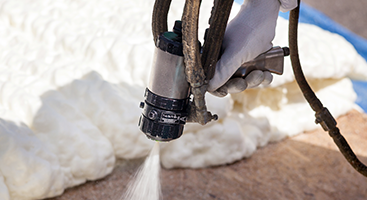 When To Replace Your Spray Foam Insulation? Nothing lasts forever. Sad, but true. And, unfortunately, this means that your home insulation isn’t going to last forever either. Though when you get your insulation installed you might be reassured that your insulation is built to last its maximum expected lifespan, incidents can happen that can shorten that lifespan. 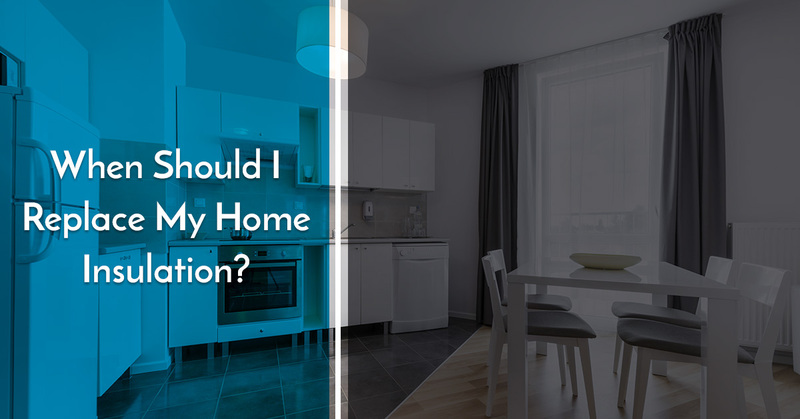 In this blog, we will discuss the signs that will tell you that you need to replace your insulation. In order to ensure that your home is well protected from temperature fluctuations, make sure your insulation is working properly. And, if there are signs that you need to replace your foam insulation, make sure you call an experienced professional foam insulation service. There are many different signs that you might need to replace your insulation. But to first understand what to look for when your insulation is losing its touch, you must first understand what insulation does. Insulation is the foam substance that helps regulate indoor temperatures and gets rid of excess moisture in the air. For instance, have you ever wondered why your home can stay so chilled in the summer, yet so warm in the winter? Insulation helps keep temperatures in your home regulated and keeps heat or cold air inside your home. Having good insulation means that you won’t have to use your thermostat as much. Many people who need a foam insulation replacement often will complain that their energy has gone up. This is because they are using their thermostat to either cool or heat their home unnecessarily. If you are noticing that your energy bill is much higher than it normally is, the first thing you should check is the state of your insulation. Also, you can tell when you need to replace your insulation if you notice moisture in the air or see mold in your house. Insulation is also able to ensure the moisture isn’t collecting in your home. When moisture isn’t properly insulated inside a home, it can quickly turn to mold. Mold can be a nuisance in your home because it can decay the structure of your home, eat away at your spray insulation, and can even cause flu-like symptoms if not addressed. Mold, a large energy bill, moisture, and a cold or an overly hot home are some of the symptoms of poor insulation. Without insulation, your home will not be comfortable and you may have to suffer large energy bills. If your home has a mold infestation, you will need to contact a spray foam insulation service, as well as a mold service, especially if the mold has spread. If you are suspicious of your insulation, you should try to check on it every year. When you take a look at it, make sure that there is no mold and that the foam is still a fluffy consistency. If your home was built during the 70s or before, you will definitely need a spray foam inspection. Foam insulation is said to last up to 80 years. However, most insulations don’t have that long of lifespan, no matter the material of the insulation. For instance, incidents can happen that compromise the effectiveness of the insulation. For instance, if there’s a leak in your home and the insulation get wet, mold can grow. Just like that, your insulation can be compromised. That is why you should always take a look at your insulation to ensure its health and effectiveness. What are the Replacement Spray Foam Insulation Costs? If your home is in need of a foam insulation replacement, there is no need to fret. Most homes are under-insulated in America, which means replacements happen more than you would think. However, once new, modern spray foam is put in place inside a home, full-insulation is possible. Modern types of spray foam are much more likely to fully insulate your home and protect you from high energy bills. Unfortunately, older homes are fitted with older, outdated types of insulation, which make them vulnerable to mold and other consequences. If you have found that your insulation needs to be replaced, you should contact your local foam insulation service to help you replace it. In Indianapolis, EcoComfort is a trusted spray foam insulation company that can help replace your old insulation. On average, most insulation companies will charge for replacements by “per board foot.” Typically, they can charge anywhere from $1 to $1.50 per board foot. You will be able to calculate the amount your foam insulation costs will be by how many feet your home takes up. At EcoComfort, we are able to offer outstanding home insulation services to the residents of the surrounding Indianapolis area. If you are interested and would like to replace the insulation in your home, contact us today. 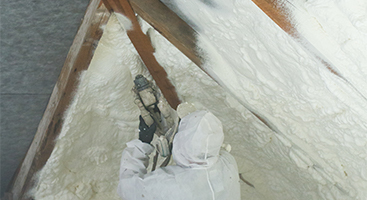 We have professionals trained to help replace and install top-quality spray foam insulation. Call today.